How am I coming across here? How can I manipulate you to see me the way I want to be seen? Can I exist in a world of my own? How can I take my revenge? Is this too dark? I’m sorry. “Wordvomiting” of everyday life, private or social media communication; grasping something in the moment only to have it become an abstract sound another moment… In any case, words eternally disintegrate before the eyes. Over the course of the performance the space is slowly filled with NO’s, which add up, merge and overlap, just like single voices in a crowd, until we can no longer hear what is said, just sense the overall refusal of the state things are in. The Words Fail me was realized as an outcome of Neva Lukić residency in Het Wilde Weten. Neva Lukić is a writer and curator living in Croatia and the Netherlands. She has had experience in museum curatorship, as a freelance curator and as an art critic. She has published five books (poetry, short stories and a picture book) and has collaborated with the artists from other art fields with the aim to create interdisciplinary artworks like short films, visual poetry and literary performances. 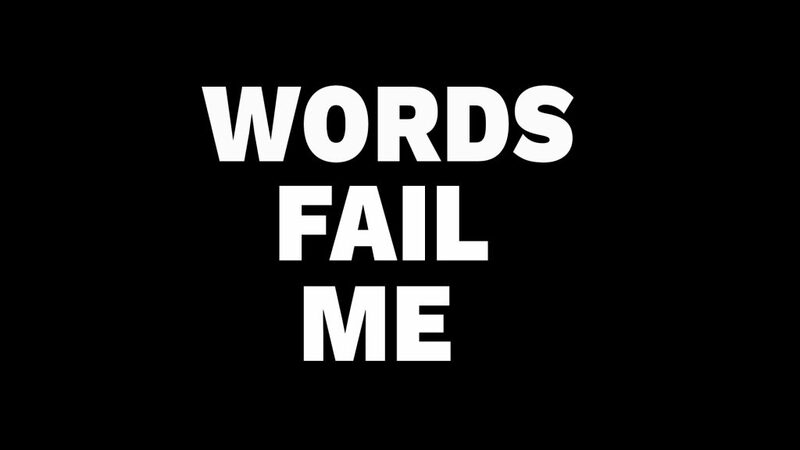 All artists in Words Fail me are the members of See Lab art initiative in Den Haag. The aim of Lukić residency was also to establish the dialogue and exchange between the prominent art initiative like Het Wilde Weten and the new initiative like See Lab, and therefore to bring the Hague artist initiative climate to Rotterdam. Special thanks goes to Anke van den Berg for the booklet design. This program was realized with a kind support of See Lab and Mountain. At 21:30 pm we will end the evening with a concert by Medium!